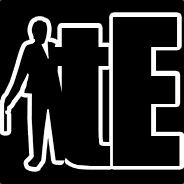 Steam Community :: Group :: the Enforcers. Would love to hear some reviews. We had a couple bots infiltrate the group so I set it back to private. I spread the officer permissions around some more to make it easier to get someone an invite. I still need a video card upgrade before i can play much. been on a few times recently. I need to upgrade before I can really play again sadly. Well damn it we need to have a tE night on PS2. Make it happen Capn'! My machine is like 6 years old. Radeon 5700 and 6 gigs of ram. It'll still run PS more or less, at reasonable settings, but it's not as much fun with the hitching and what not. Oddly enough, it runs H1Z1 just fine.